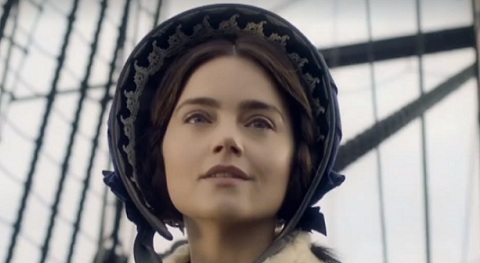 ITV has released a trailer for the upcoming season of the period drama Victoria, set to premiere this fall. Season two will see Victoria dealing with motherhood as she gives birth and will explore the way it her relationship with her husband is affected by this. “To be queen I must rule but to be a wife I must submit.” – she is heard telling an unknown figure in the trailer, in which she can also be heard asking Albert “Do you remember kissing me before we were married? Everything was simpler then.” He tells her, stroking her hair, that she will always be his “beloved”. The queen is also berated for her presumably post-natal depression and she is seen throwing something at her husband out of anger for his behaviour. steamy clinch only to be startled as they are interrupted by someone entering the room. The song used in the trailer is thr 2016 single “Keeping Your Head Up” by English musician Birdy from her third studio album, “Beautiful Lies”, released in 2016.